A study published in the Journal of Thoracic Oncology, the official journal of the International Association for the Study of Lung Cancer, has found that accurate identification of the stage of non-small cell lung cancer (NSCLC) due to cancer positive lymph node discovery was more common following open chest surgery for lung lobe removal of early stage lung cancer than with the closed chest procedure known as video assisted thoracic surgery (VATS). 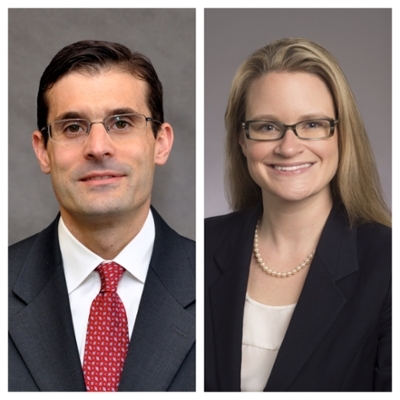 Emory Department of Surgery chief resident Rachel Medbery, MD, was first author of the study, and Winship cardiothoracic surgeon Felix Fernandez, MD, was senior author. Additional authors were Theresa Gillespie, PhD, Yuan Li, PhD, Dana Nickleach, MA, Joseph Lipscomb, PhD, Manu Sancheti, MD, Allan Pickens, MD, and Seth Force, MD. The standard and generally most effective treatment for early stage lung cancer is surgical removal of the tumor and a portion of the lung. Open thoracotomy is the traditional method of choice, though it can pose more risk, especially in lung cancer patients with additional health issues. Over the past 20 years, the use of VATS has increased due to its less invasive approach, excellent morbidity and mortality rates, fewer complications, reduced pain, improved lung function, shorter recovery periods, and lower acute care costs. However, incomplete lymph node staging by VATS could compromise survival by leaving residual cancer and altering optimal post-surgical treatment because of imprecise understaging. To examine the differences in nodal staging between these two methods, the study team analyzed records of NSCLC patients from the National Cancer Data Base who underwent lobectomy between 2010 and 2011 for tumors smaller than 7 cm and no apparent lymph node involvement prior to surgery. Statistical analyses were performed to compare nodal upstaging in VATS compared to open thoracotomies and to determine if there were differences depending on type of surgical center. The results show a total of 16,983 lobectomies were performed; 29.1% using VATS. Of all 4,935 VATS, 4.9% were performed at community centers, 50% at comprehensive community cancer programs, and 45.1% at academic or research centers. Upstaging because of the discovery of cancer in LN during surgery was more frequent in the open vs. closed group (12.8% vs. 10.3%; p<0.001), even though a greater number of lymph nodes (≥9 LNs, 43.7% vs. 38.8%; p<0.001) were sampled using VATS. The open approach resulted in longer length of hospital stay (mean 7.4 versus 6.1 days, p<0.001), and a higher 30-day mortality rate (2.1% vs. 1.3%; p<0.001), whereas VATS was more likely to lead to an unplanned 30-day readmission (6.9% vs. 5.9%; p=0.014). For patients who were treated in an academic or research facility, the difference in nodal upstaging for open lobectomy versus VATS was no longer statistically significant (12.2% vs 10.5%; p=0.08; n=2008 per group), but was numerically higher. The authors suggest that, "Nodal upstaging appears to be affected by facility type, which may represent a surrogate for expertise in minimally invasive surgical procedures." For the future, the authors note, "Standardized quality assurance of lymph node staging during VATS lobectomy is needed to achieve the goal of eliminating differences in staging and there needs to be an analysis of differences in long-term survival rates between VATS and open thoracotomy for lobectomy to ensure that minimally invasive approaches provide tumor control equivalent to that provided by open approaches."